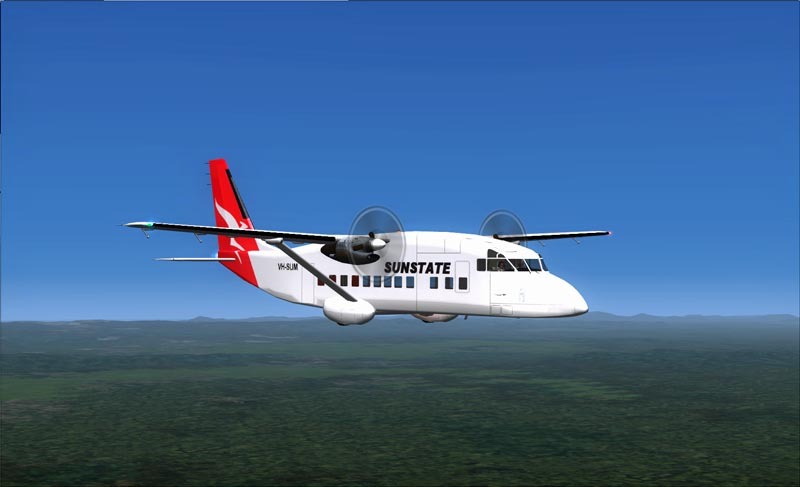 The Short 360 (also SD3-60) is a commuter aircraft built by Short Brothers. The Short 360 seats up to 36-39 passengers and was introduced into service in 1981. It is a larger version of the Short 330.
seated. The two Short airliners share a high degree of commonality and are very close in overall dimensions and size. The later 360 is easily identified by a larger, swept tail unit mounted on a revised rear fuselage. The 360 has a 3 ft (91 cm) fuselage "plug" allowing two more seat rows and six extra passengers to be carried, while the extra length smoothed out the aerodynamic profile and reduced drag. Seating is arranged with two seats on the starboard side of the cabin and one seat on the port side. 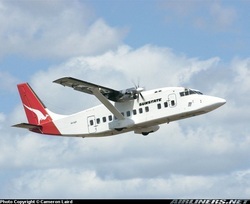 The 360's wingspan is slightly greater and its power is supplied by two Pratt & Whitney PT6A-65Rs. The development was announced in 1980, with the prototype's first flight on 1 June 1981 and type certification awarded on 3 September 1981.